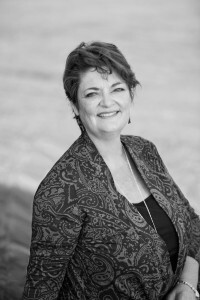 LaRhea Pepper is a cotton farmer from Lubbock, Texas. She grew up farming and is a key advocate for the importance of organic farming, working to inspire and equip people to accelerate sustainable practices in textile supply chains. Her personal story is a profoundly powerful one and has impacted her passionate involvement in the field, including participating in a lawsuit against Monsanto, the agrochemical corporation. What is your earliest memory of life on a cotton farm? Growing up on the farm, I remember just walking out and checking on the cotton. I love the smell of freshly plowed dirt. I remember going out to see Dad as he was working. And then, as I was older, racing behind the tractor and enjoying the coolness of the field when we were planting. How much cotton is grown in the area of Texas where you grew up? The area where I grew up, south of Lubbock, is the largest continuous cotton patch in the world, there is around 3.6 million acres of cotton. What has changed in recent years about the way this cotton is produced? How has this affected the wider community? This area has moved from a ‘low-input’ philosophy which means limited amounts of weed control (spot spraying for weeds) and the use therefore of more labor in the fields, to the use of over 90% genetically modified seeds and the increased use of herbicides, with the aerial application of Round-Up on millions of acres. As a result, the area has lost smaller mom and pop businesses that were de-linting and selling seed and other farm inputs, to a virtual monopoly for GMO seed. The area has also lost population due to reduced use of people on the farms – in some areas communities that were able to support 12-man football are now playing 6-man football. The rural populations are suffering, with people having to move to larger towns to find work. Has there been a lot of testing done on the new chemical processes? No. There hasn’t been a lot of testing on the long term impacts of GMO seed and the farming systems that support this technology. Does the use of GMO cotton reduce the amount of pesticides being used? The term ‘pesticides’ is an inclusive term of several different kinds of chemicals – herbicides, insecticides, fungicides, etc. While it may initially decrease the amount of insecticides for boll worms, there are indications that secondary pests increase and there is still a need for insecticide applications. It has certainly led to a significant increase in the application of herbicides. What are the long term effects of this increasing pressure on the land? We are already seeing the impact of high-intensity agriculture – the nutrients available in the soil are depleted rather than renewed creating, in reality, a ‘drug addict’: this year it takes ‘x’ amount of petroleum-based fertilizer to generate the yields required to be profitable and next year, they need ‘x’ amount more… At some point, the resources and the cost of the water, fuel and fertilizers become cost prohibitive for cotton – and you see agriculture shift from cotton to more profitable crops in many instances. There is also similar pressure on the land for the food crops – requiring more and more inputs to generate yields. Will more rain forests be destroyed to feed the growing population? How we use agricultural land in the future is becoming an increasingly important topic of conversation, along, and in conjunction with, water. In a world increasingly motivated by the bottom line profit, what impact does this have on farmers in clothing supply chains, both in Texas and around the world? 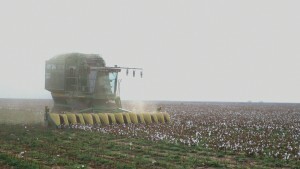 The production of conventional cotton has a lot of hidden costs that are not fully realized in the cost of the fiber – costs of water contamination, negative impacts on bio- diversity, damage to other non-GMO crops in the area, loss of local jobs and other negative impacts on community, as well as the negative costs on the health and well-being of people living in the farming communities. I know that this is all very personal to you. Would you mind sharing why this hits so close to home? The difference in conventional chemically intensive agriculture and organic is literally life and death. Organic promotes life and creates solutions. Organic agriculture promotes life in the soil, increased bio-diversity, increased food-security, ability to mitigate impacts of climate change with stronger carbon sequestration, the reduced use of irrigation where that applies, and the elimination of toxic and persistent pesticides from the water we drink and the air we breathe. It is also life for communities, catalyzing job creation with the increased crop selections as a result of the shift from a mono-crop culture and the employment of more people to care for the crop during the growing season. It also means life for farm families ensuring that their fields are safe places to work and to play – to live!! This, however is not the case in so many farm communities. Bottom line, toxic chemicals used in agriculture, the neuro-toxins that kill bugs, impact humans. It is called Cancer. My husband grew up on a chemically intensive farm in south Texas and his father died of Leukemia at the age of 57. Terry was diagnosed with a brain tumor – a glioblastoma multiforme – when he was just 48 and I had to say goodbye to him just 2 years later. We were partners in transforming our farm from a low-input ‘almost organic’ to certified organic in 1991 – we worked hard to build the organic cotton market – for us – and others as well. Promoting organic as THE way to farm and be responsible stewards of our land was an important priority in our lives. It is no longer important to me – it is imperative! Agriculture MUST change and LIFE must be the focus.